Having sensitive skin is a daily skincare challenge. In a recent survey published by the International Journal of Dermatology¹, nearly 45% of respondents reported they had either “sensitive” or “very sensitive” skin – and approximately 35% reported that they regularly suffer from dry skin because of their skin sensitivity. Dry skin can happen to anyone, regardless of skin type. But it can be more damaging if your skin is sensitive. From itchy flaking patches to redness to a burning sensation when using skincare products, it’s hard to find beauty products that soothe sensitive skin rather than irritate it. Here are some tried and true beauty tips for taking care of dry, sensitive skin. Avoid hot water. When showering and washing your face, skip the hot water. Hot water strips away moisture and natural oils, which leaves skin tight and itchy post-cleansing. Opt instead for warm to cool water to avoid dryness. 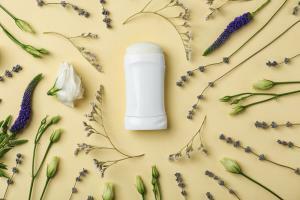 Choose gentle, unscented cleansers. It’s tempting to reach for delicious-smelling body wash, shampoo, or soaps – but if your skin is sensitive, you should avoid heavily-scented products. Instead, look for products designed for sensitive skin. Always moisturize. If you have sensitive skin, never skip moisturizing. The ideal time to moisturize is immediately after bathing, while skin is still damp. This helps lock in moisture that’s still present on the skin from the water. Skip toner. Although there are many beauty regimes that use toner as an integral step, many people with sensitive skin find it too harsh because it’s designed to strip away oils. Exfoliate once a week. Decrease the frequency that you exfoliate to once a week if your skin is sensitive. Sloughing off dead skin is important, but if you exfoliate more than once weekly, it could lead to rough, irritated skin. If you have sensitive skin, you’ll need to pay close attention to the labels on your favorite makeup products. Generally, you’ll want to look for products labeled “hypoallergenic” and “non-comedogenic.” Hypoallergenic products are designed to avoid causing any kind of allergic reaction, while non-comedogenic means a product won’t block your pores. You can also search for specific makeup items, like foundation in both powder and liquid forms, that are designed for sensitive skin. Everything from cover-up to lipstick to mascara is available in a specially formulated blend for people with sensitive skin. When purchasing makeup designed for people with sensitive skin, it’s important to read the label – and you need to know which ingredients are beneficial or potentially harmful for your skin. Ingredients like petroleum, sodium lauryl sulfate, parabens, and artificial fragrances have been shown to cause damage to the natural oil balance of your skin, Hello Glow² writes, and can lead to outbreaks of cystic acne, and skin depigmentation. You want to seek out makeup products that are as natural as possible to keep your sensitive skin healthy. Finding the right beauty products that heal rather than harm sensitive skin may seem intimidating, but it’s easy once you know what to avoid and what to look for. If you’re fighting with dry, sensitive skin, do a bit of research and familiarize yourself with the most common harmful ingredients in typical beauty products. Taking care of sensitive skin doesn’t have to be hard – as long as you make sure you do your research. A great way to explore different skincare and beauty products that work for your skin is to seek out free samples. 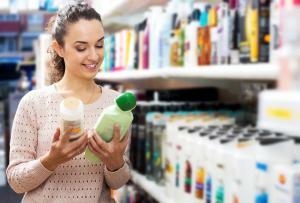 Many beauty stores, both online and brick and mortar, offer free samples. Search and ask for free samples so you can test different products before committing to see how they’ll affect your skin. If you’re interested in products for dry, sensitive skin, start a search today.